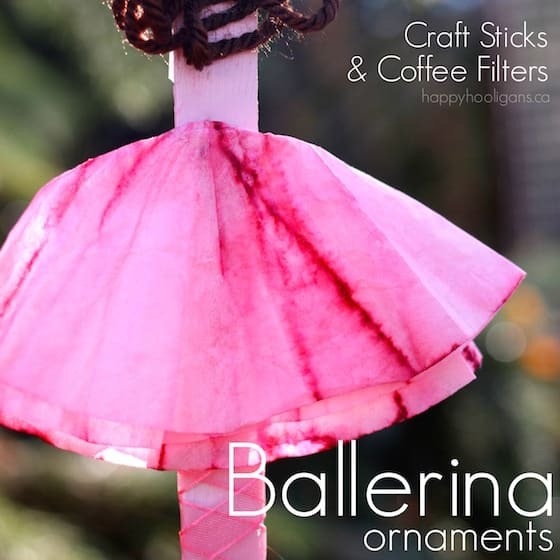 If your little one loves ballerinas, tutus, pink slippers and all things “dance”, she’ll flip (or shall I say “she’ll be doing pirouettes”) when she sees the popsicle stick ballerina ornaments we’ve made using craft sticks and coffee filters! Believe it or not, this is our first-ever ballerina craft here in my daycare! It’s kind of surprising considering I’ve had a number of hooligans take dance class all through their toddler and preschool years. 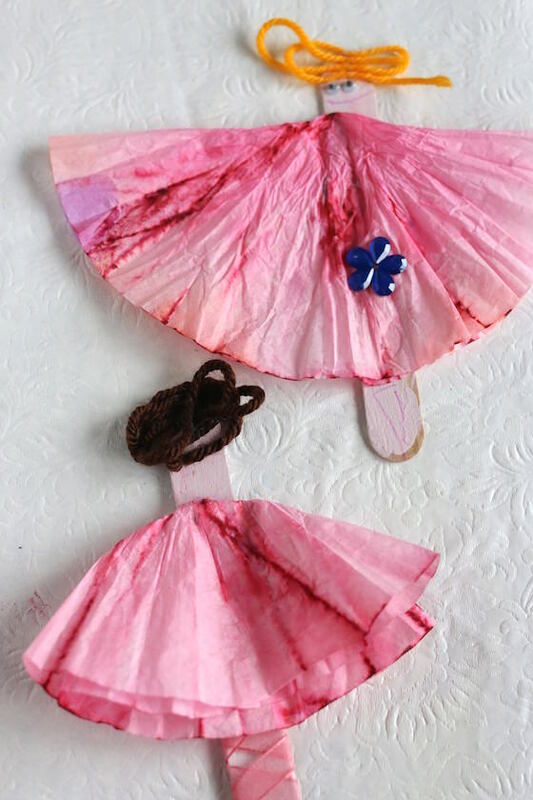 We’ve done a number of fairy crafts, but never a ballet craft, so I’m really excited to share our “tiny dancers” with you today. They’re dainty and delicate and they’ll look lovely hung on the Christmas tree this year. 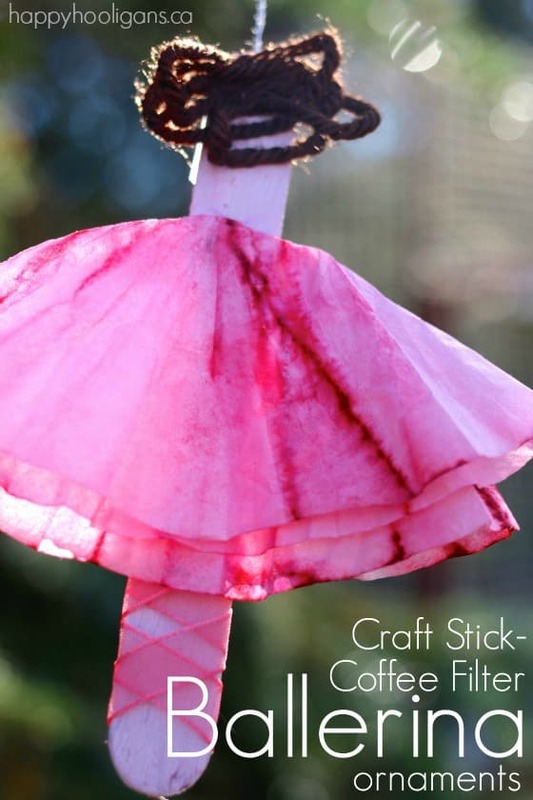 Round up your kids and a few popsicle sticks and coffee filters, and let’s make some ballerinas! We started with the coffee filters because they take a while to dry. We’ve dyed coffee filters many times here. The hooligans love the process. 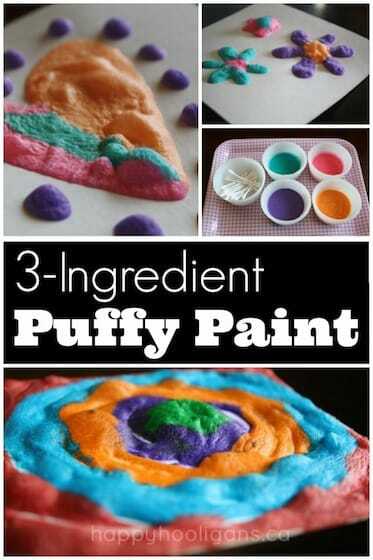 It’s a great opportunity to learn about water absorption and colour mixing. 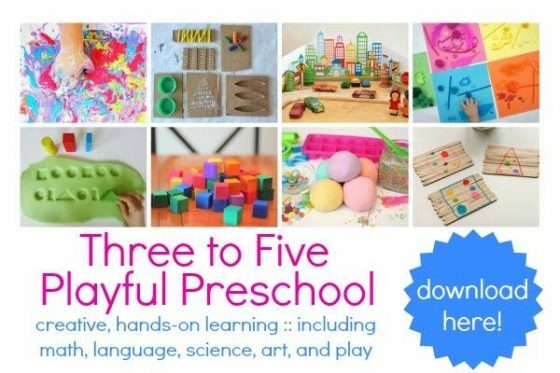 It’s also a super activity for strengthening fine motor skills. 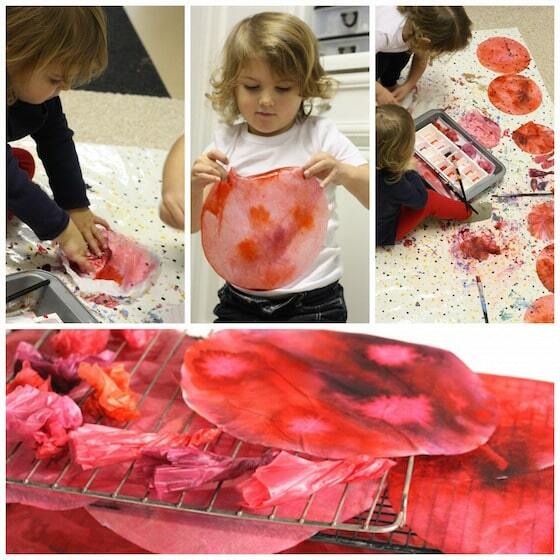 You can use liquid watercolours or food colouring to dye your coffee filters. If you need to, check out the step-by-step tutorial in my coffee filter Christmas tree ornament post. You can speed up the drying process by giving your coffee filters a blast with the hair-dryer. I keep a spare one in the craft room for just this reason. It’s kind of my signature craft-hack. If you’re letting your coffee filters dry naturally, just spread them out on a cookie rack. 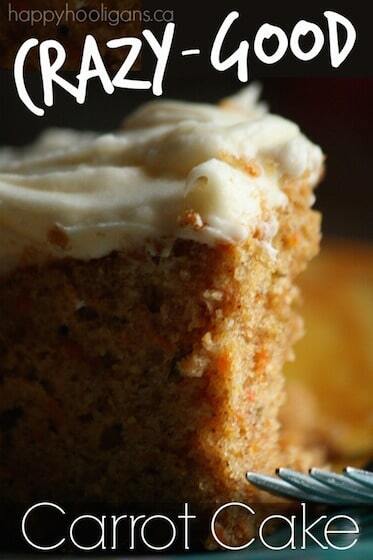 Be sure to protect the surface underneath the rack as your coffee filters may drip a bit while they’re drying. Next, your kids can work on the bodies of their ballerinas. 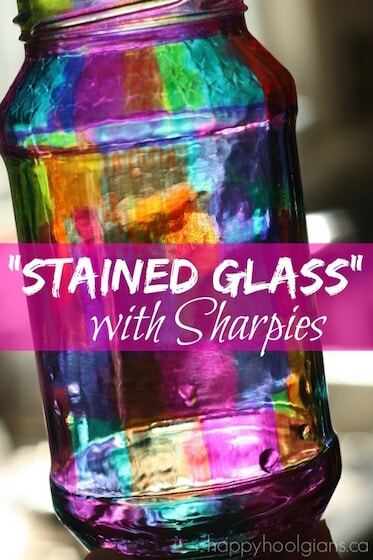 Paint a popsicle stick with a shade of light pink paint. We gave our popsicle sticks two coats of acrylic paint which was aptly named “Ballet Pink”. We painted both sides of our sticks, and let them dry. Then we folded our coffee filters, and glued them to our craft sticks. A bit of glue between the layers of the coffee filter helped to keep everything in place. For the ballet slippers, I cut a length of pink ribbon, and I glued one end to the bottom-back of the popsicle stick. I wound the ribbon around the stick a couple of times, moving first in an upward, diagonal direction, and then back down, diagonally. I finished with another dab of white glue. 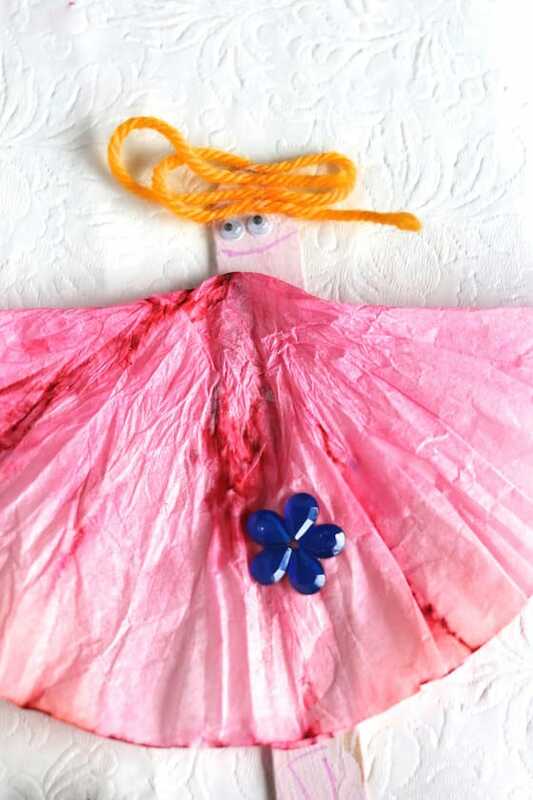 To complete our ballerinas, we glued a bit of yarn “hair”to the top of the craft stick. Some of the hooligans chose to add small googly eyes and a mouth drawn on with a marker. Some chose to leave their faces blank. To photograph our ballerinas, I hung them from the branches of the spruce tree in the back yard. You should have seen them dance when the wind caught them! They were swaying and spinning just like real ballerinas! And now how about this idea. 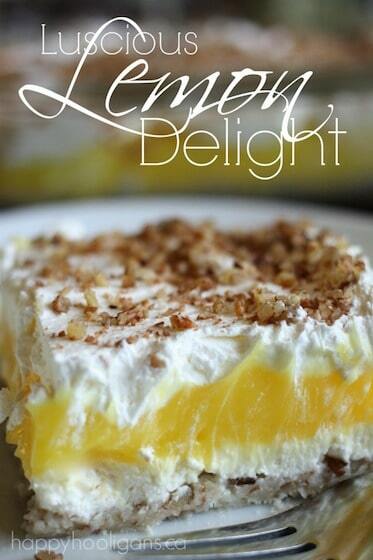 Is your child a fan of “The Nutcracker”? 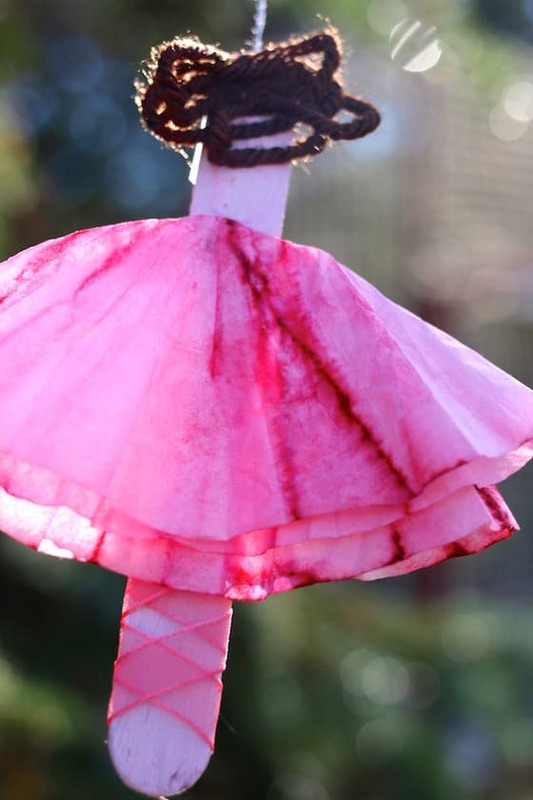 Red Ted Art has this clothespin ballerina, and Crafts by Amanda has these clothespin soldiers. 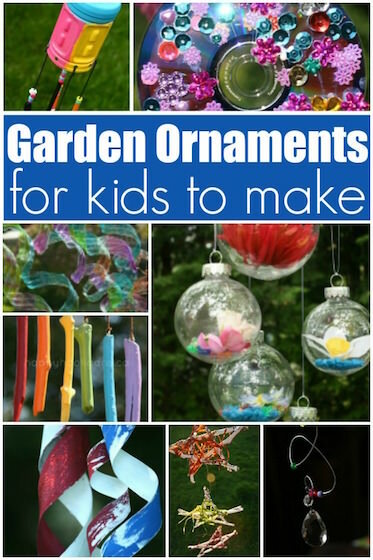 You could make them all, and your child would have a miniature Nutcracker set to play with!